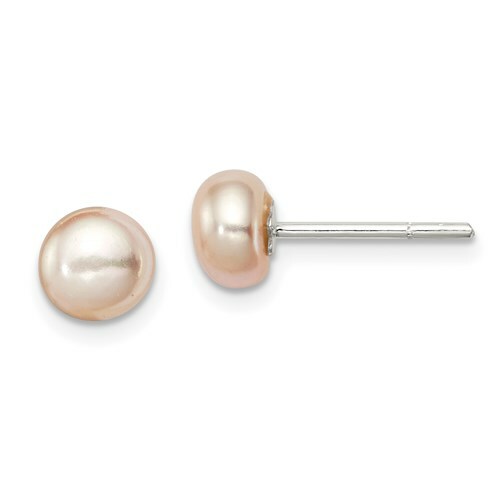 Sterling Silver Peach Cultured Pearl Button Earrings. Pearl diameter: 5mm. Weight: 0.8 grams. Measures 3/16 inch round.